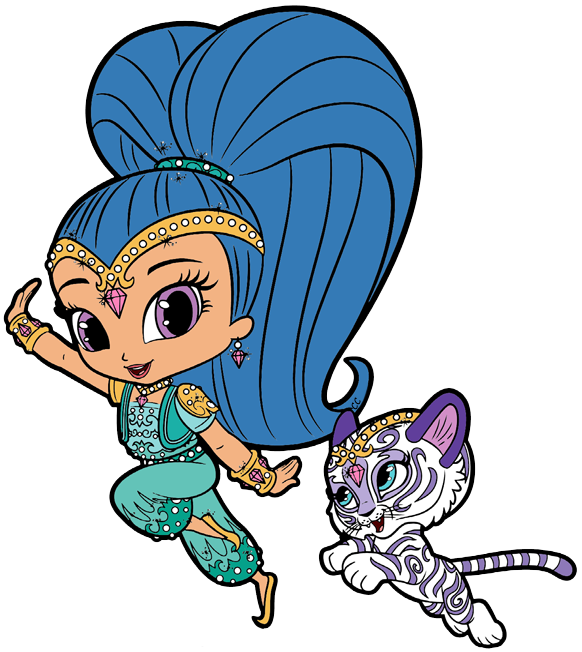 Featuring quality png images of Shimmer, Shine, Princess Samira, Nahal, Tala, Roya, Leah, Zac, Zeta the Sorceress and Nazboo. Notice: The following images were colored and clipped by Cartoon-clipart.co. They are meant strictly for non-profit use. Please include a source link when sharing online. Shimmer and Shine © Viacom International, all rights reserved. 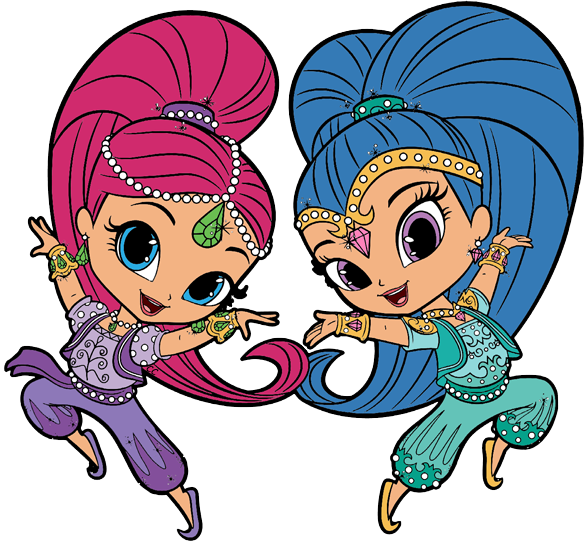 Shimmer and Shine follows the magical adventures of genie twin sisters Shimmer and Shine and their human best friend Leah, who, when needing help with various dilemmas, is granted three wishes after summoning the genies. Visit the official website.